Bergen drivers deserve a vehicle that provides a sense of comfort, safety, and style—and they deserve one that fits the budget. Opting for a Certified Pre-Owned Jaguar F-TYPE is a great choice, especially when you want something that will flatter and handle the Englewood roadways. With so many different trim levels to choose from, it’s easy to find a CPO Jaguar F-TYPE model at Jaguar Paramus. At Jaguar Paramus, you’ll find many benefits of our Certified Pre-Owned Jaguar models, including the F-TYPE. First, Mahwah drivers will love the price. After all, every Certified Pre-Owned option is priced lower than new models, which makes them more affordable for your budget. Plus, we deliver impressive vehicle specials on all our CPO models, which means you can get an even better deal. In addition, our CPO models are thoroughly tested to ensure they’re safe and reliable on the Saddle River roads. When you’re behind the wheel, you’ll have peace of mind. 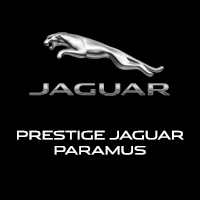 Jaguar Paramus has a nice selection of Jaguar models to choose from. Visit our dealership today at 405 NJ-17 in Paramus, NJ, or contact us at 201-977-2197 to learn more about our vehicles.